You’ve just completed an important chapter point in a game that’ll finally unlock a new region, the doorway opens wide, you step through the loading screen and then… wow! The beauty of the virtual world is that it allows us to create such incredible vistas and panoramas that would be made utterly impossible by such constraints as geography, planning permission, and physics. Designers and artists have delved deep into what makes a world real, engaging, stunning, compelling, and have broken all the rules of login in order to create places that we will remember long after the distant memories of real places have faded into oblivion. This week, we had to flip a coin as we were at a tie between the Top 10 Spherical Objects and this list. Either that, or we would have went for what I would have suggested: The Top 10 Best Spherical Objects of 2015… But that was a bit of a mouthful to say. 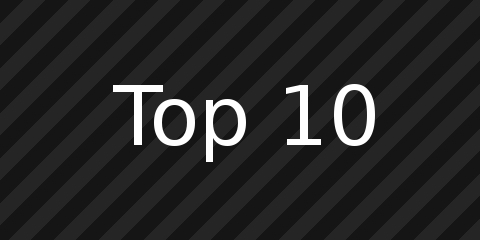 This list won the toss and boom, we’re doing a list on our personal Best of 2015. Now, before we get into this one, let’s just explain what we mean by Best of 2015.